All data used in the analyses. 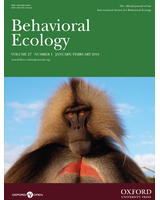 Citation is not yet available for this publication from Behavioral Ecology. It will become available shortly after the publication appears. Group members often vary in the information that they have about their environment. In this study, we evaluated the relative contribution of information held by the population majority vs. new immigrants to groups in determining group function. To do so we created experimental groups of the social spider Stegodyphus dumicola that were either iteratively exposed to a dangerous predator, the ant Anoplopepis custodiens, or kept in safety. We then seeded these groups (i.e., the population majority) with an “immigrant” individual that either had or did not have prior experience with the predator and was either shy or bold. Bold group members are argued to be particularly influential for group function in S. dumicola. We then evaluated colonies’ response towards predators over multiple trials to determine the effect of the immigrant’s and the majority’s prior experience with the predator and the immigrant’s boldness. We found that groups adopt a “better safe than sorry” strategy, where groups avoided predators when either the group or the immigrant had been previously exposed to risk, regardless of immigrant boldness. These findings suggest that past experience with predators, even if only experienced by a single individual in the group, can alter how groups respond to risk in a potentially advantageous manner.